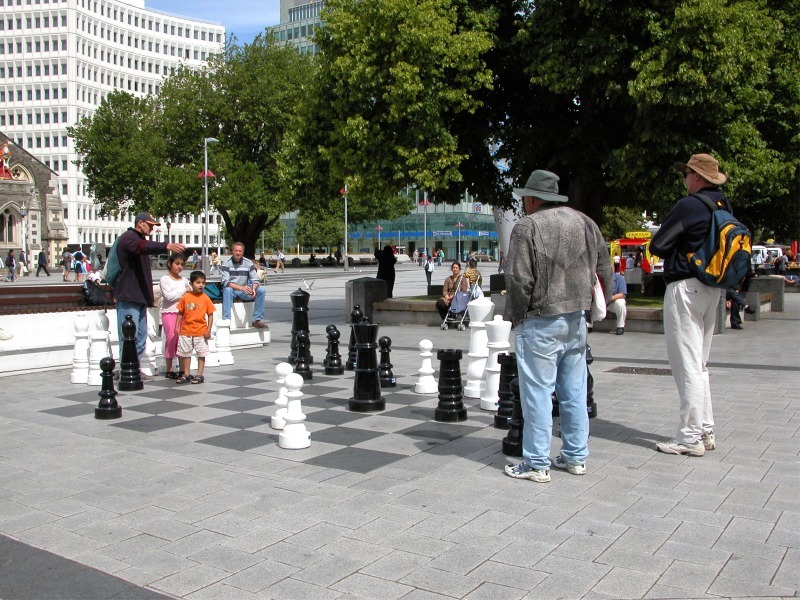 click photo to enlarge Christchurch is located on the east coast of the south island of New Zealand. It is known as the garden city. 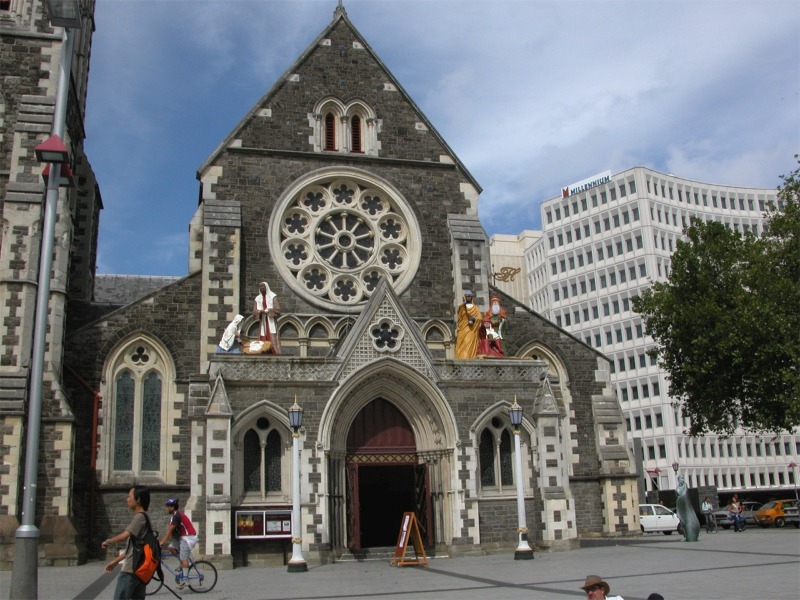 It is also the largest city on the south island with 350,000 people. We found it a wonderful mix of gardens and European architecture. This is part of the Christchurch Cathedral. 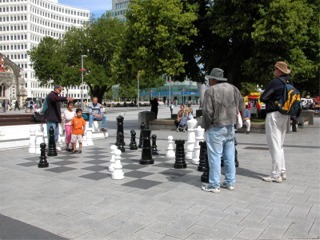 click photo to enlarge Here are some folks playing chess on Cathedral square. We were there in January which is the middle of summer for them. Like July to us in the northern hemisphere. The temperature was in the upper 70's maybe low 80's but windy. 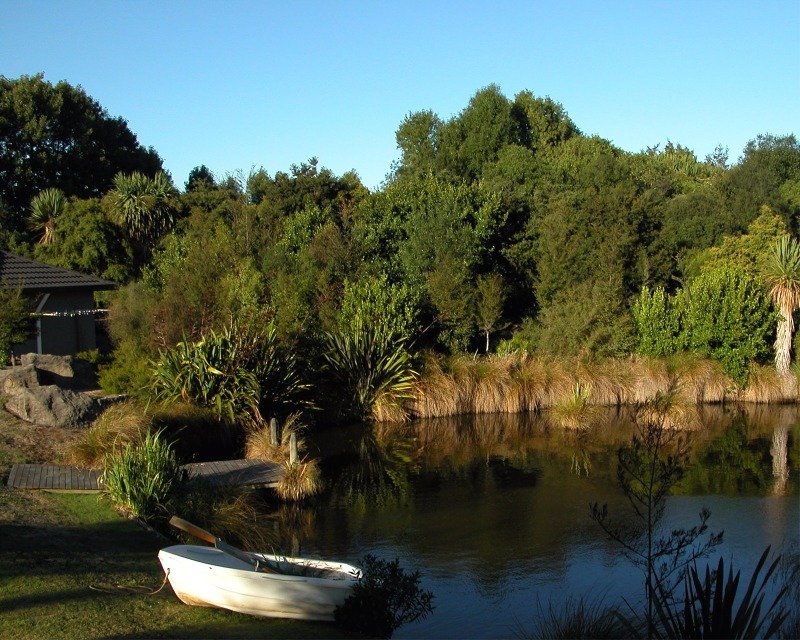 The south island of New Zealand isn't very wide so the weather is heavily influenced by the ocean and storms can roll across the land very quickly. 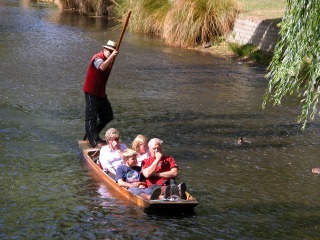 click photo to enlarge They call this Punting on the Avon river. The river runs right though the center of town. We had purchased tickets for the tram which took us around the city but we ended up getting off and walking the city instead. There are many wonderful architectural structures and parks. click photo to enlarge This photo was taken on the grounds of the B&B that we stayed at. The accommodations were wonderful and the grounds were just spectacular. We have paid money to tour gardens that weren't as nice as this. B&B's are much more prevalent here then in the US. Our whole trip was spent in B&B's except our last night which was spent on a farm. It was a nice way to explore the island. 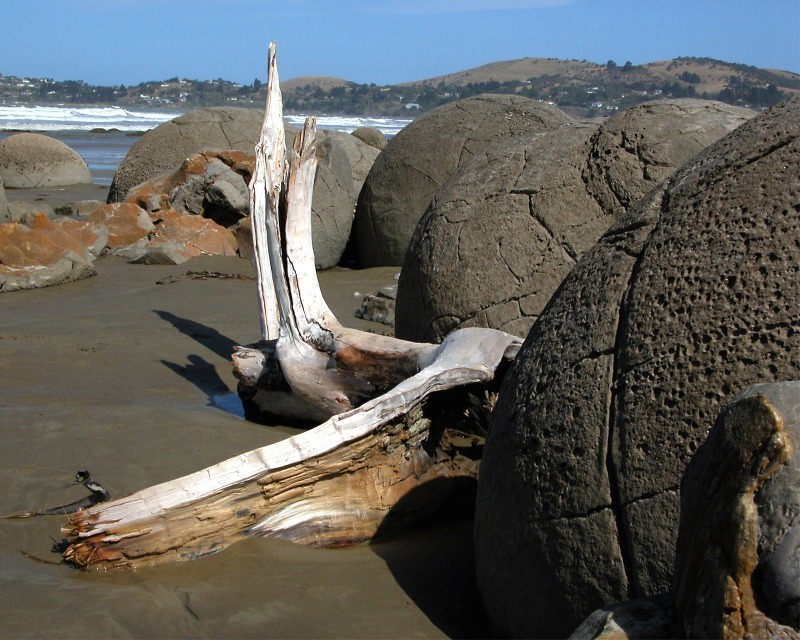 click photo to enlarge These are the Moeraki Boulders. 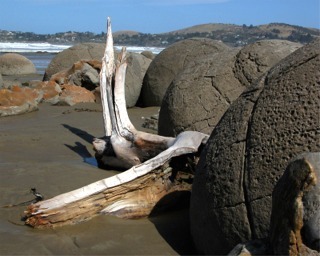 According to Maori legend they are food baskets washed ashore from a wrecked canoe. The boulders you are looking at here are about 2 feet tall. We passed these on our way from Christchurch to Dunedin.